ARC Technology designs and builds custom Marx generators, transmission line pulsers, and pulse forming lines with their associated high voltage switching. 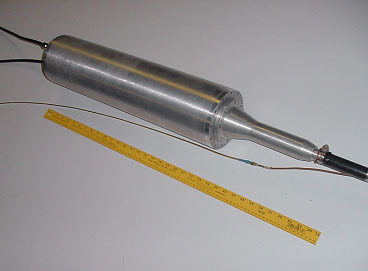 These can drive antennas and high power microwave sources that require a high voltage pulse in addition to other loads. The Marx generator shown delivers 240kV into a 50 Ohm RG220 coaxial cable with a 2ns 10-90% risetime and a 26ns fall time. A yardstick is included for comparison.